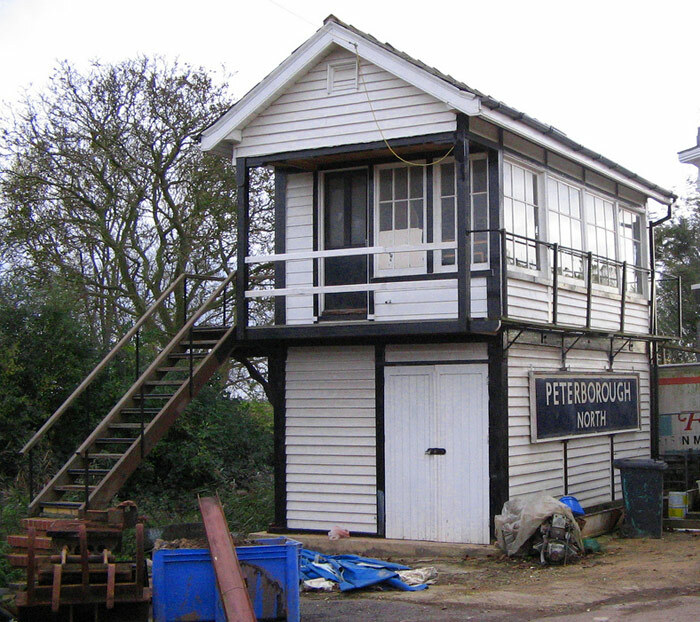 A recent curious sight in a reclaim yard near Murrow is this wonderful old signal box carrying a Peterborough North sign. The box was the Horsemoor intermediate sidings box from the Ely to March line. It was abolished on 13th November 1988 and the crossing automated. The structure was sold and dismantled before being reconstructed at Murrow. The sign is almost certainly from the old Peterborough North Station.